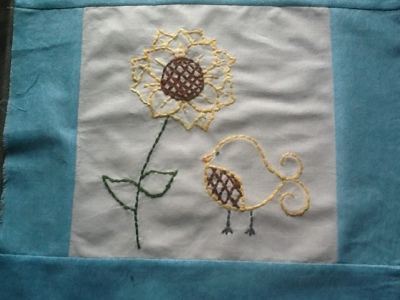 Here are two more Birdie embroidery blocks. August and September. 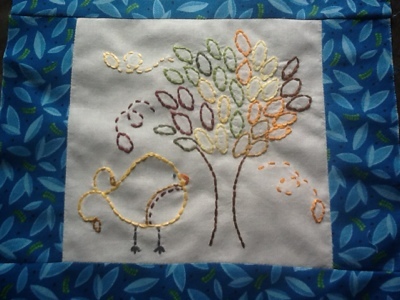 I am enjoying stitching but have to wear my glasses to do a better job.